Add a decorative touch to any nursery. 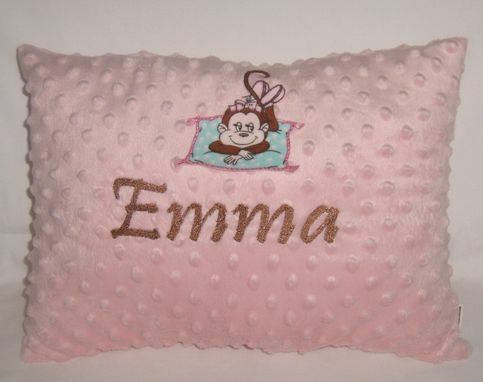 Elegant pink with brown embroidery is the perfect first impression when entering baby's nursery. It is the perfect size for anywhere in baby's room. 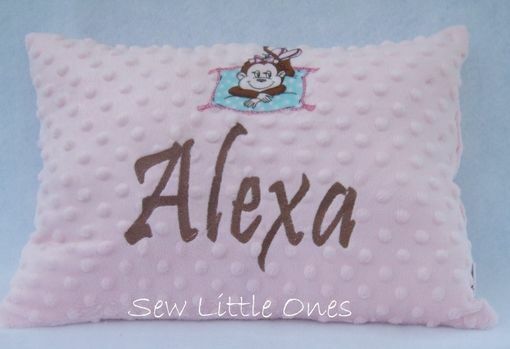 This listing is for one luxurious super soft pillowcase which includes an embroidered name of your choice. The pillowcase will fit any 12"x16" pillow form. You may also add monkey applique as a special touch.